We were so pleased to be able to photograph the commitment ceremony of Caitlin and Todd in Utica NY. 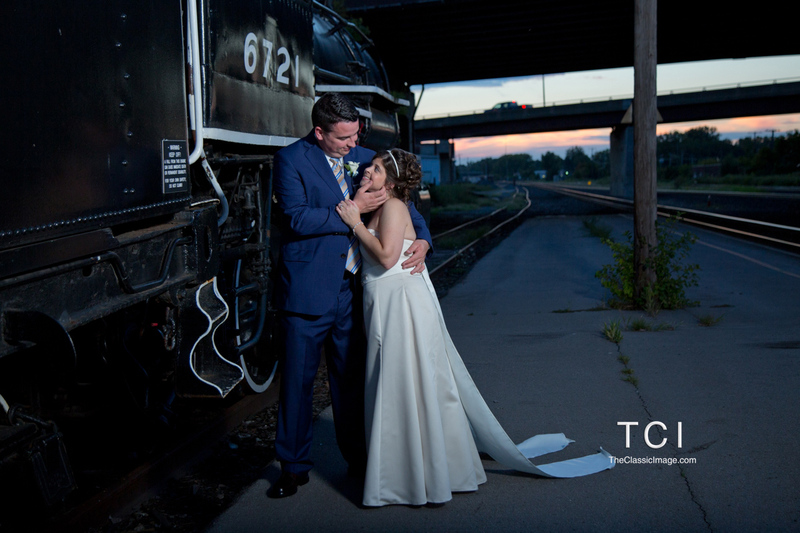 They came in to our studio earlier this summer for an engagement session and as we listened to their plans for their special day we knew we would be sure to get a sweet romantic image with the train and tracks to help illustrate their love story. The Train Station in Utica was a perfect spot for these two. Todd is a train aficionado and the train was their transportation as they visited each other during the beginnings of their courtship. 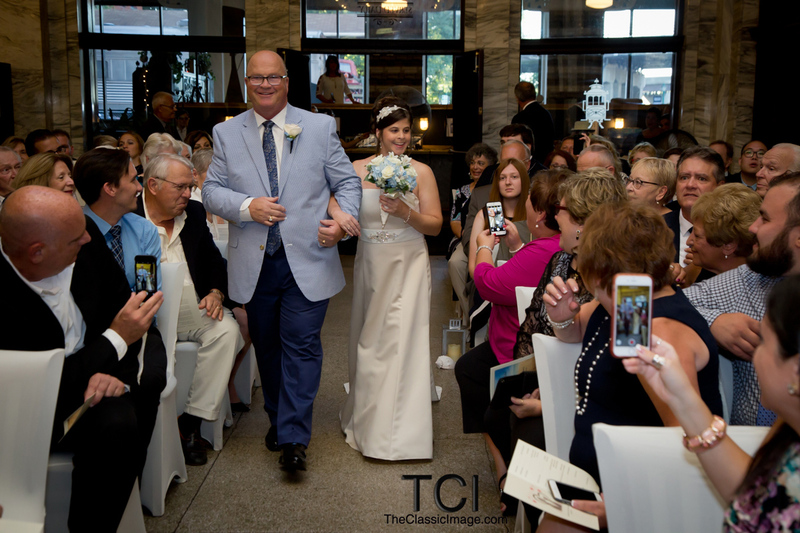 Lots of cell phones capturing this great moment of Caitlin walking up the aisle with her dad. Everyone wants to bring home their own special memory. 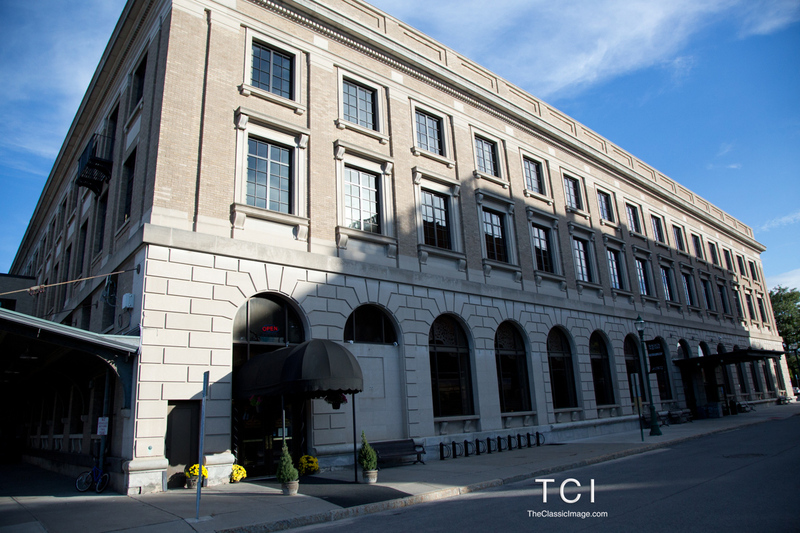 The ceremony and reception were held in this great little restaurant which is part of Union Train Station in Utica. The Track Side Restaurant has it’s own entrance on the west side. I will definitely have to come back someday when I’m not working for lunch or dinner. And maybe a drink at their awesome bar. A great way to add in their love of the Cape with the shells and starfish for decor.